There are many webmasters and SEOs out there that have a high dependency on the income they make from Google AdSense ads. Whenever a single source of income is that important to you, setting up measures to protect that income is critical. 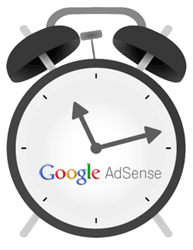 Some savvy Google AdSense publishers have set up alerts and alarms to notify them of potential issues with their AdSense ads. IncrediBill, the moderator of the AdSense forum at WebmasterWorld posted a thread about this. He said he noticed that his ads were not running properly and he had no idea. So when he found out, he was upset. So now, he decided to set up ways to poll the ads and track to make sure they are serving properly. What did he do? He posted a new thread at WebmasterWorld discussing a method of implementing such an alarm. Leaving it open ended will catch all the variations. This way you can easily see which individual units didn't display, or all. There is also the AdSense API where you can set up certain benchmark requirements and if things are looking red too soon, you can use that as a form of an alert. What do you do to automate the tracking of your AdSense ads to prevent potential issues from getting bad before they get worse?